Can you run a SWM-30 with only 4 lines? DIRECTV’s older multiswitches, the SWM-8, SWM-16, and SWM-32, are slowly disappearing. As I write this, Solid Signal has good stock on them but it’s been confirmed: They aren’t being made anymore. There is a good reason for that: The new SWM-30 is better, more capable, more reliable, and costs less. Residential customers with older receivers can run up to 26 tuners, while Commercial installs with multiple Genies per residence can support 30 tuners – enough to support 6 apartments. Remember, a SWM-16 can only support two Genies while a SWM-32 can only support four. So, with the SWM-30 you have a compact way to organize an equipment closet. In fact, with the SWM Expander module (100% approved by AT&T) you can fit 8 multiswitches — enough for 240 tuners — in a smaller space than a SWM-32. Sounds like a dream come true, right? There’s only one hitch, you say: the SWM-30 has six satellite inputs. 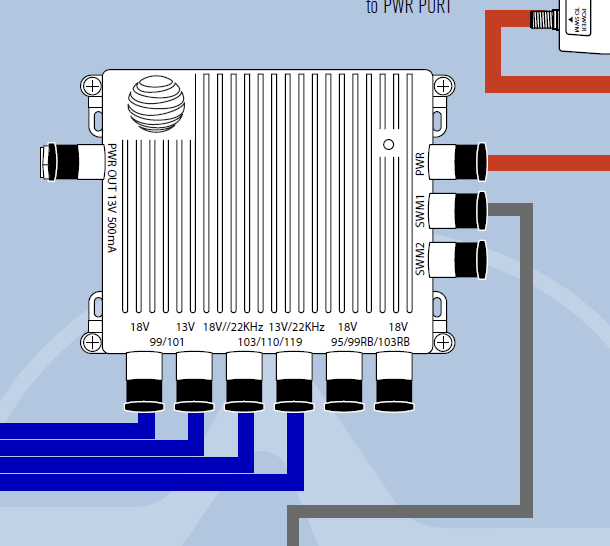 What if I want to use a regular 4-wire LNB like the SL5? The SWM-30 will support any DIRECTV Slimline LNB with four wires. While it will also support the 18″ round dish “technically,” that dish no longer works with Genies and the SWM-30 itself doesn’t work with D12 standard definition receivers. So if you have nothing but H24s and H25s, you could probably use a round dish with it. The right two ports are designed to be used either for the Reverse Band lines from a 4K LNB or WorldDirect dish. If you are connecting just the international dish, connect it to the fifth input that says 95/99RB. 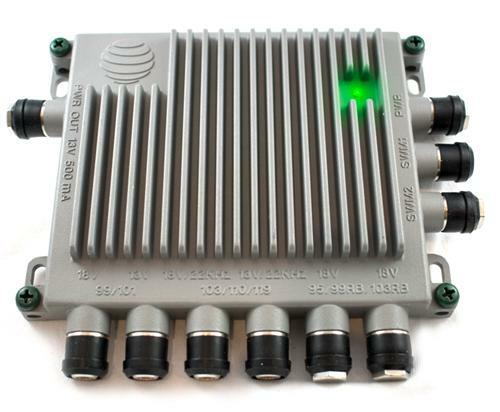 If you are connecting both LNBs, you will need a special diplexer that is available at Solid Signal. When you look at all your options you’ll see that there really isn’t any reason to go with any multiswitch for DIRECTV other than the SWM-30. It supports every dish and receiver currently offered, it’s flexible enough to be used for 4K or International purposes, and it’s a big improvement over other multiswitches when it comes to size. It even runs cool enough to touch, something you couldn’t say reliably about a SWM-16.